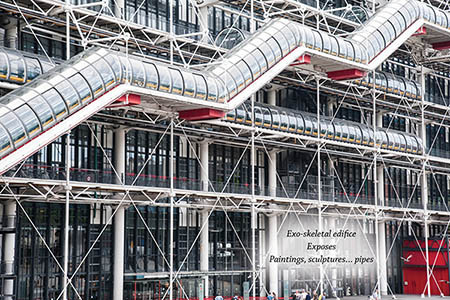 Welcome to the May 2017 edition of our newsletter Paris Panorama! 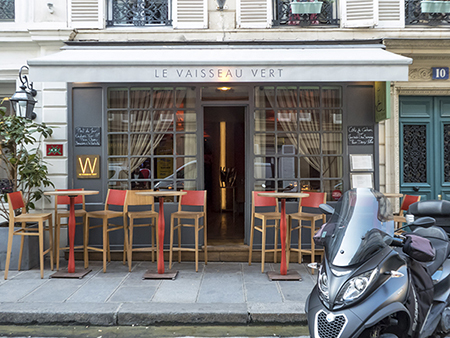 Standing on a side street between rue d’Amsterdam and rue de Clichy, Le Vaisseau Vert presents a handsome grey façade under an off-white awning. 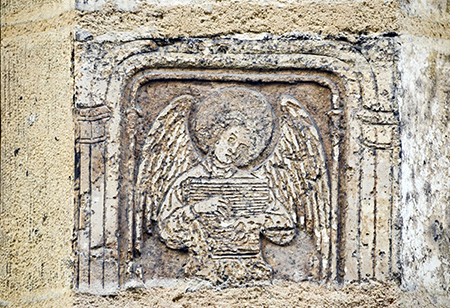 One of the oldest angels in Paris strums a psaltery – a stringed instrument akin to a harp – on the facade of a hostel built in 1407 for poor laborers. Nicolas Flamel, who achieved posthumous fame as an alchemist in JK Rowlings’ Harry Potter books, was a jurist, bookseller, and instructor in the art of illuminated manuscripts. 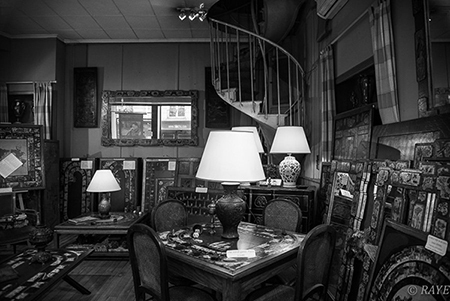 He and his wife Pernelle, ardent philanthropists, gave itinerant field workers room and board in exchange for their prayers for the dearly departed. It is believed that Flamel designed this angel with its moon-shaped halo and feathery wings, which graces the doorway of what is today a fine restaurant.